Introducing a new website that demonstrated product craftsmanship and detail. Usability was the goal, so a responsive webpage was key. 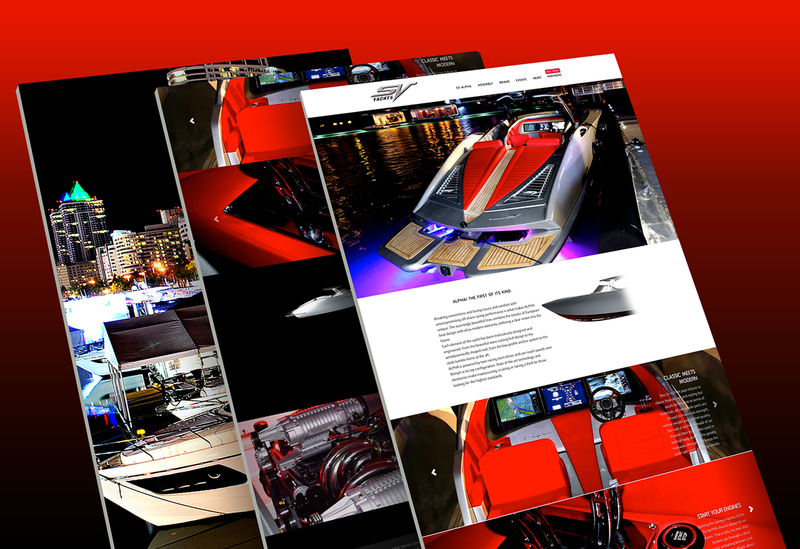 Highly visual and detailed oriented page layouts were designed to show this debut product for Miami International Boat Show. 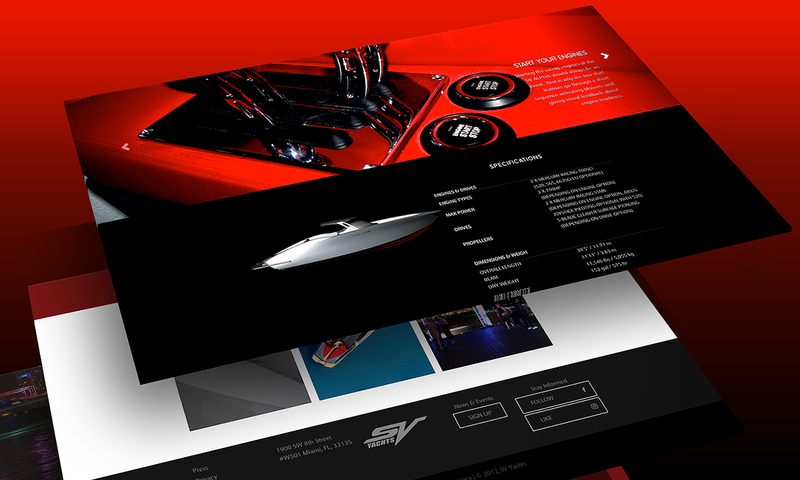 SV Yachts was founded by the two partners Nikolai Sass and Mauricio Antonio Velez recognizing the lack of luxury high-performance inboard yachts. Introducing a new website that is responsive and demonstrated product quality. Usability was the goal. 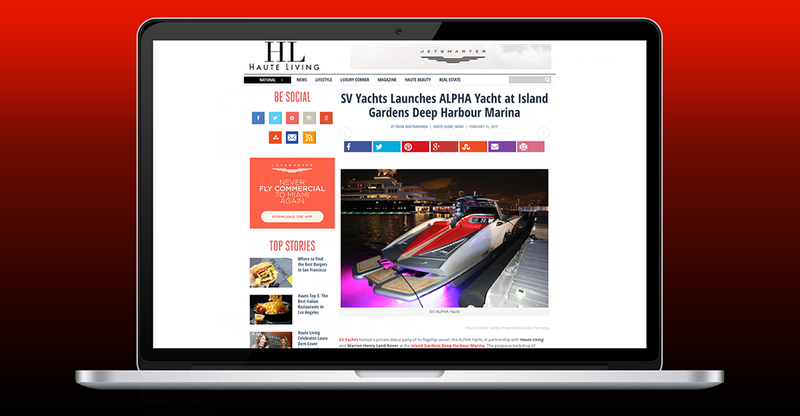 A highly visual and detailed oriented website was needed to show this debut product for Miami International Boat Show 2017. 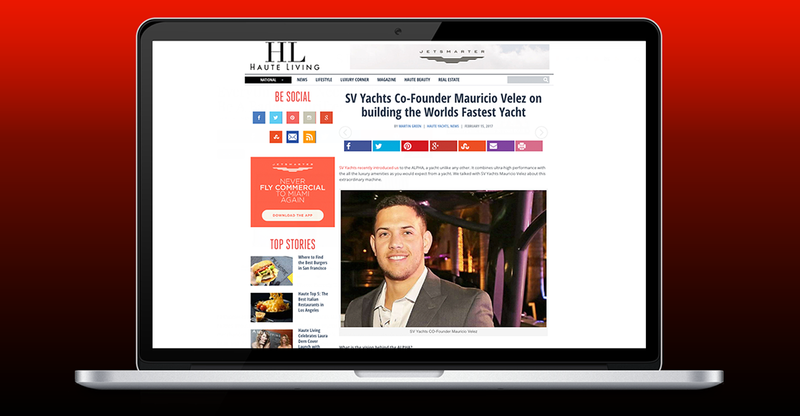 SV Yachts was founded by the two partners Nikolai Sass and Mauricio Antonio Velez recognizing the lack of luxury high performance inboard yachts.